Pow! This is all a little bit stunning isn’t it? This Designers Guild Saraille wallpaper available at Rockett St George (which I love by the way) is a nod towards the very on-trend dip dyed look that’s big in fashion at the moment. It’s only a matter of time until these fashions creep into our interiors, and here is the dip-dyed look for your walls. A 12m roll gives you a 4 x 3m matching roll set of panels and costs £185. Wow, what a feature eh? Where could this work in your home? I’d love to see this in my bedroom I think. It looks fresh and bright, perfect to wake up to, and not to overpowering either. 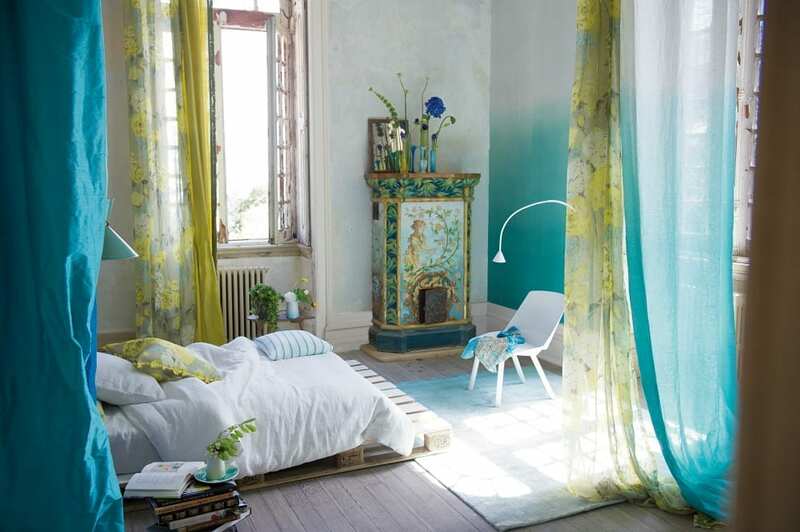 There is a big range of colourways too and you can see the full collection on the Designers Guild website. It’s beautiful – I’d want it somewhere I could sit and watch it and see it often!